My mom always told me that the job I would have hasn’t been invented yet. In my career I’ve come to realize that even if I’d been hired for a particular skillset or position it doesn’t mean that’s what I’ll actually end up doing on a day-to-day basis. Things change. When hiring managers search for a new employee they look for particular skills. Can they use Excel, Word, and PowerPoint? Do they possess a particular degree or certification? Or do they come highly recommended from a great team member? Even employees who are hired for particular skills don’t know how to do everything a job requires of them and it’s usually a change from their last position. Here at Brandon Hall Group we talk a lot about Relationship Centered Learning. One of the hallmarks of Relationship Centered Learning is that everyone is now a teacher; we all have our own areas of expertise, and the ability to share our knowledge with others. In our hyper-specialized world, sometimes it’s hard to remember that people don’t automatically know everything, and just because someone is good at one particular skill doesn’t mean they are proficient in other areas as well. Sometimes they aren’t excelling in a particular area because they haven’t been taught yet. Make sure that your organization promotes a culture of learning, not just formally, but informally as well. The company of the future needs to look at hiring people who know how to learn and eagerly seek out new skills and abilities. Jobs and activities are constantly changing. Hiring someone who is particularly skilled in a certain disciple or function doesn’t mean that this skillset will be in demand long-term. Conversely, hiring an employee who doesn’t possess a particular skillset, doesn’t mean they can’t acquire the knowledge needed or that they can’t be utilized in another area. Opportunities (and often new positions) informally occur in workplaces, especially when people leave an organization and their jobs are parceled out to the remaining team members. Are you doing exactly what you were hired to do? Probably not. Companies change, job roles change, and certainly co-workers change. Companies and people continue to grow and change. Make sure that you’re ready to meet those changes rather than always staying a step behind and complaining that things didn’t turn out the way you thought they would. 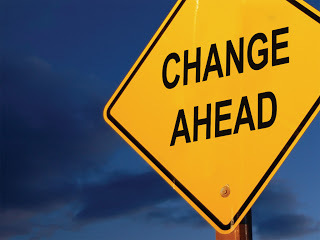 The only constant in this world is change; be prepared, personally, professionally, and organizationally. For more information from Brandon Hall Group on promoting learning in your organization join us for one of our complimentary webinars. Upcoming topics that can help your organization handle change and promote learning include effective teams, building a workforce strategy, and the role of learning in global talent management.